The Philadelphia Eagles, leaders of the NFC East, are one of four teams in the NFL to enter this weekend with a 10-2 record. And Eagles’ fans are feeling the pinch. 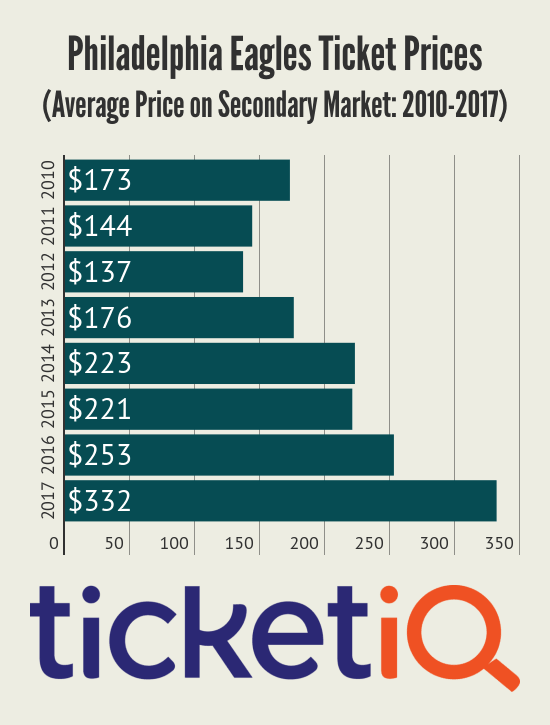 A ticket to see Philadelphia play this season is averaging $332, according to TicketIQ.com data. For comparison, that number is nearly double what it cost to see the Eagles play in 2013 and $79 more than it cost last season. It’s easy to see why all the hype. Though the Eagles have reached the playoffs 24 times, they’ve never won a Super Bowl and haven’t been to the postseason since 2013. For a team that lost its last three playoff appearances in the wild-card round, getting to Week 14 with a share of the best record in the NFL is plenty to get excited about. If the old adage that “defense wins championships” rings true, Philadelphia is in good shape. The Eagles enter this weekend allowing a league-low 68.1 rushing yards per game. Overall, Philadelphia is third in total yards allowed at 293.2. Offensively, it’s rolling up an average of 385.1 yards per game. So, prices are only going up – according to TicketIQ.com, the current average asking price to see the Eagles play the Raiders on Christmas Day is $291 and the New Year’s Eve Day game against the Cowboys is sitting at $433. The average cost of a ticket this season is the seventh-highest in the NFL. 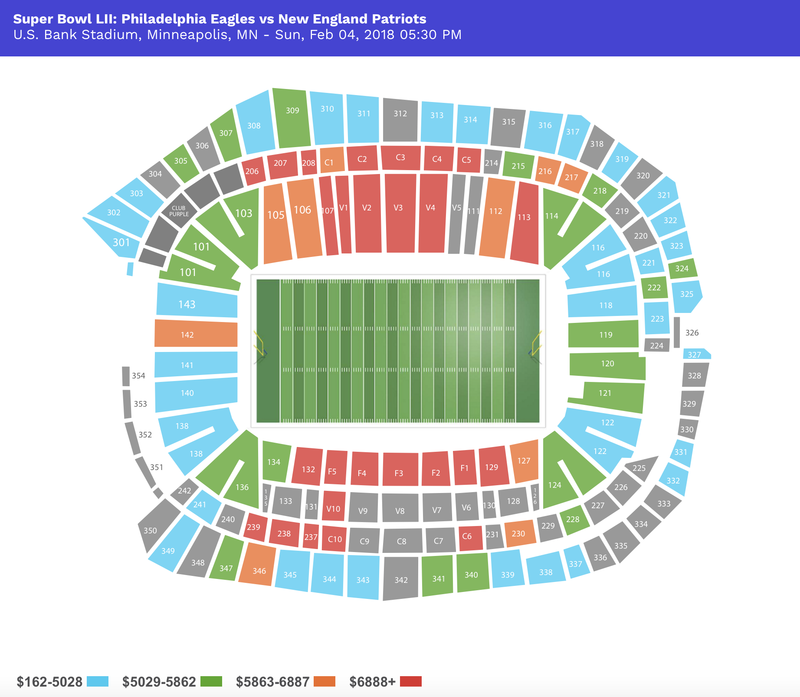 The Patriots are the most expensive ticket so far, with seats costing an average of $569. Given that the Eagles are 6/1 favorites to win the Super Bowl, the spike in prices for 2017 is understandable. And whether you can afford the best seat in the house or just a seat in the house, TicketIQ.com’s Low Price Guarantee listings have something for everyone. As of Dec. 6, you could buy an end-zone seat in the upper deck in Section 237 for $188 or spring for a seat behind the Eagles’ sideline in Section 138, Row 9 for $414 for the Christmas Day game against the Raiders.